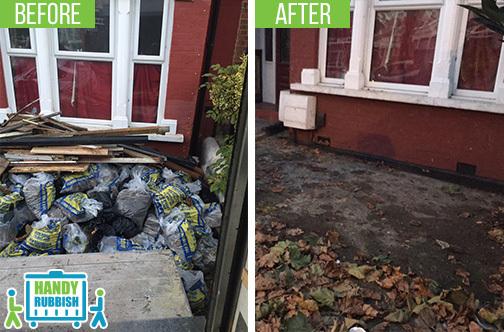 If you are looking for a rubbish disposal N15 service for your home or business property in Tottenham, Handy Rubbish can provide you with a professional and affordable service. We are a waste disposal company that can handle even the most demanding work. Not only can we do a complete waste removal in Tottenham including strip outs and demolition clear ups, but we can also remove white goods, garden rubbish, furniture and much more. No matter what you need clearing, call us on 020 3540 8282 today to get a no obligation quote or book an appointment. It is all too easy for rubbish and waste to accumulate inside a loft. It ends up the storage space for everything and years can pass before you get to clearing it out. When this time comes, we are here to help you. From coming to your property in N17 district and climbing into the loft, gathering all the waste and carrying it down from the loft, to loading the truck and disposing of the rubbish, our team can do it all. Our Tottenham waste clearance service is fully comprehensive and will cover any rubbish that you need to get rid of, no matter how heavy or large it is. If you are in need of clearing up a construction or building site after any kind of construction work, then our comprehensive N15 waste disposal service can help you out. Our team of experts will come to your property or building site and collect any items that you don't need or no longer want. We collect and dispose of any items such as equipment, materials and general waste. Depending on the size of the site, we often can clear it all in one day and we also cater for emergency callouts on the same day. If you are searching for a means to get rid of old and unwanted furniture, whether it is from a commercial property or a residential home, our furniture disposal service will cover all aspects of throwing out furniture. After you have left us the details of the place where the furniture is, we will come to the property, collect all the furniture, saving you having to carry it, load it into our vans and then we will carefully get rid of the furniture either through recycling or carefully disposing it. To learn more about any of our rubbish removal Tottenham N15 services, call us on 020 3540 8282 today. For a rubbish clearance Tottenham company that you can rely on to continually bring you the best quality at the lowest prices in N15, Handy Rubbish is the team you can really trust to deliver every time. Customer satisfaction is our number one priority and it is what we build our waste collection N15 services around. Whatever your need, we know we have the service or package for you. Not only that, but we offer great prices on individual services, as well as discounts on multiple packages. To see what services are available to you, call us now on 020 3540 8282. They were very helpful on the phone and came around to my property in N15 to complete the job promptly. I can’t fault any aspect of the waste clearance service as it was all carried out to a high standard. What’s more, they offered the most affordable quotes in Tottenham! In the north of London in the London Borough of Haringey lies the large district of Tottenham, which spreads out over the postcode districts N15 and N17. It is commonly associated with the famous football team, Tottenham Hotspur. 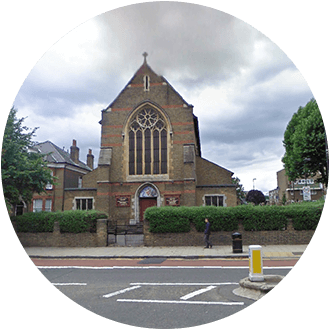 Tottenham is a very large area that is divided into four parts – North, Central, South, and West. Due to its vast size, the area is well- served by various transport links. Turnpike Lane, Northumberland Park, Seven Sisters, and Tottenham Hale are four Underground stations that are dotted throughout the area. There are also several London Overground railways and various bus routes here.